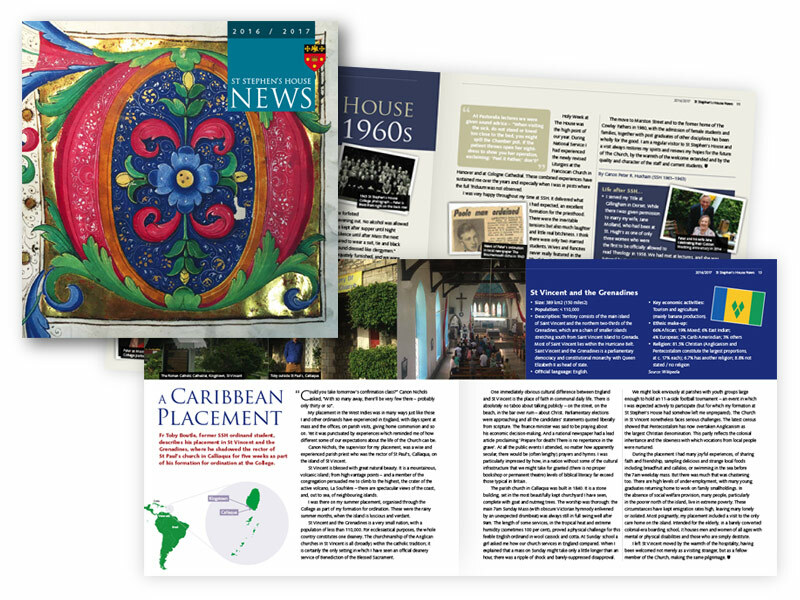 St Stephen's House News is the alumni newsletter for St Stephen's House, an Anglican theological foundation and Permanent Private Hall in the University of Oxford. I worked closely with the St Stephen's House director of development and alumni relations to plan, develop and design the newsletter, which was relaunched in 2015 to appeal to a wide variety of both alumni and current students. The newsletter's content, design and new approach – a more 'magazine-style' format than previous editions – has been universally well-received, and led directly to donations being received by St Stephen's House. The newsletter is available to view online at the St Stephen's House website.